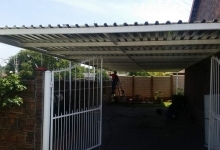 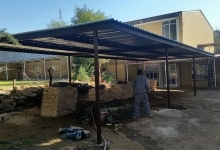 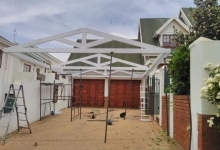 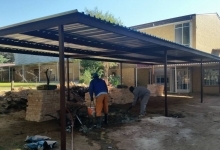 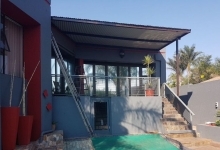 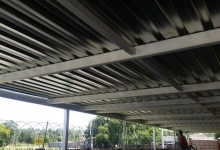 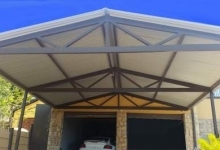 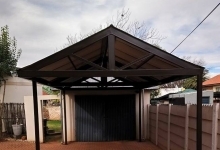 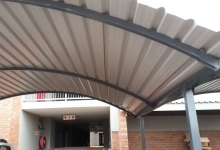 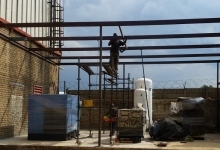 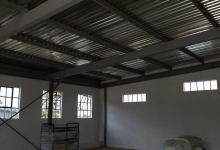 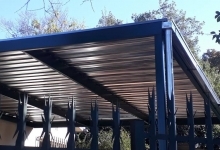 Manufacturing and Installations of Steel Roofs and Steel Carports Roodepoort, Krugersdorp, Randfontein, Randburg and other surrounding West Rand Areas. 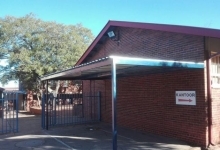 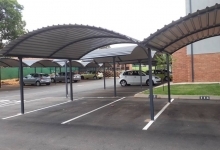 Steel dome carports, peak carports and flat carports. 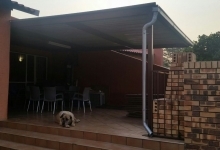 Lip Channels 150 x 50 x 20. 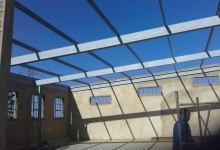 We use IBR sheeting and 0.5 full hard. 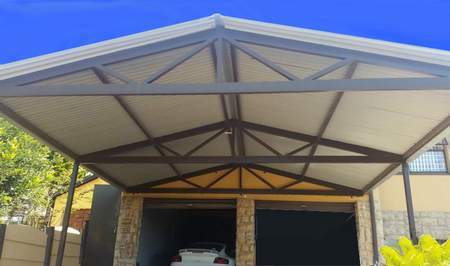 Carport posts 76 X 76 square tubing for standard carports. 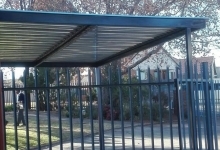 Our carports come with a 1 year warranty on our workmanship. 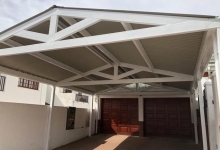 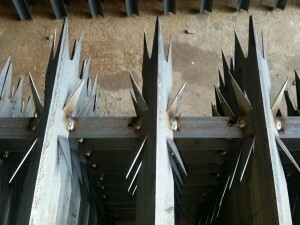 Contact us now for any carports in Roodepoort, Randburg, Linden, Northcliff, Honeydew, Noordheuwel and surrounding areas.